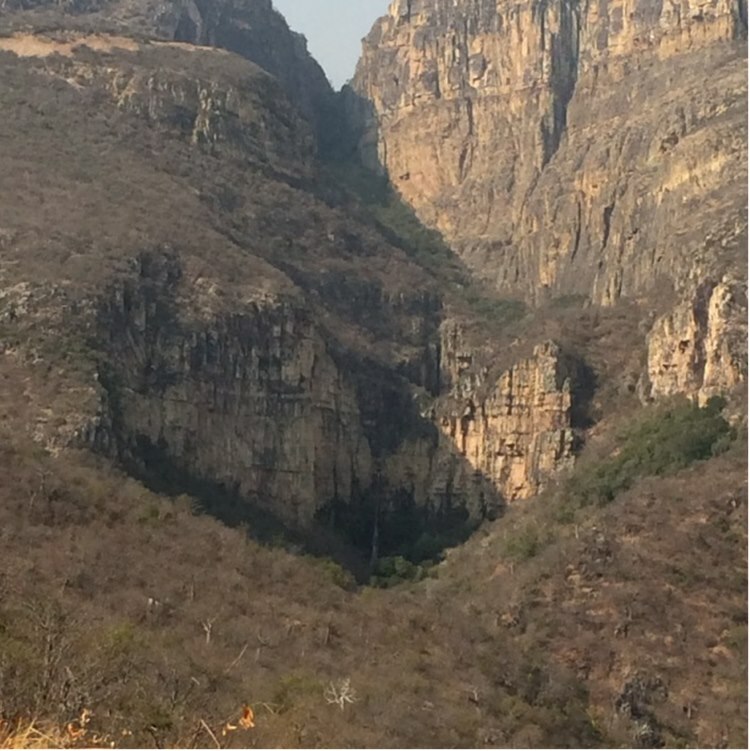 Over the mountains to Lubango and onto long straight streets towards Namibia……. Unfortunately Lipstick could not show its full potential as the fuel supply was constrained because of clogged up fuel and air filters filters again. 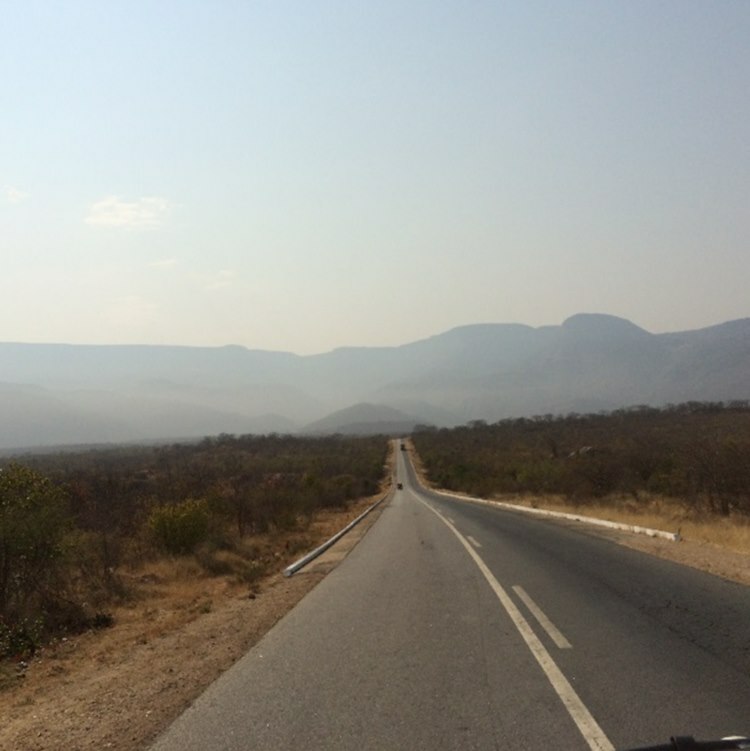 The dusty roads from Huambo to Lubango took their toll so Lipstick was limited to less than 110km/h on these beautiful roads in southern Angola especially between Tchimbolele and Cahama. 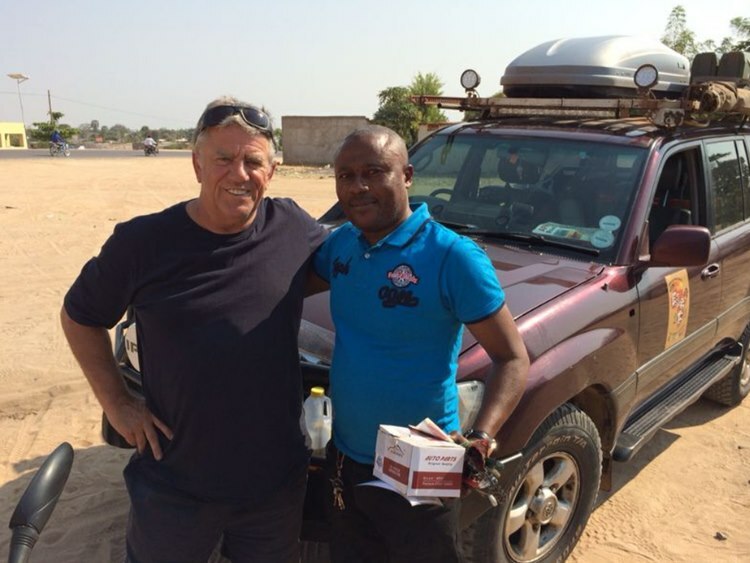 In Ondjiva team Lipstick found a small automotive spare part outlet with the owner speaking fluently French as he was a motor mechanic in Paris for 5 years before retreating to this small village shortly before the Namibian birder. Unfortunately he only could supply the main fuel filter and even assisted with the change but this did not do much to the performance of Lipstick. Mechanics at work changing main fuel filter in Lipstick…. Just before Namacunda the remains of the fights between South Africa and the Cuban led army of Angola became more visible with burnt out tanks and army vehicles lying next to the main road. 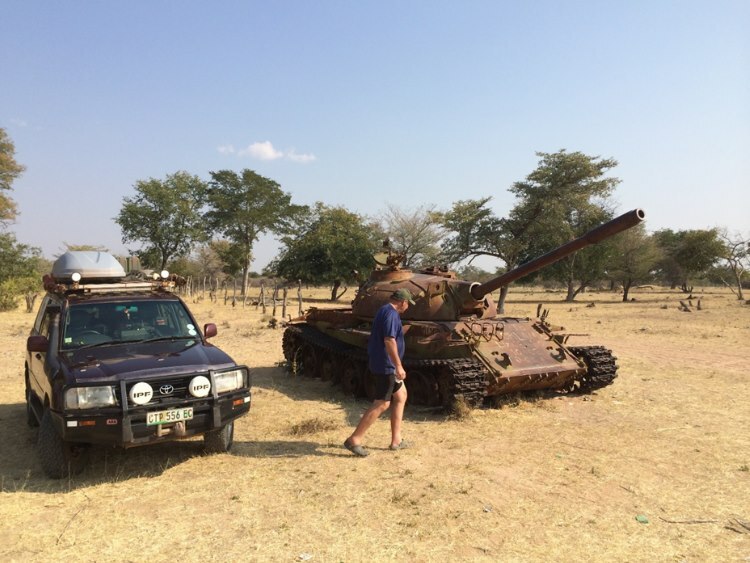 Andre climbed into one of these tanks in in doing so properly scratched his leg which he can show no as proof of being wounded caused by the wars gone by. 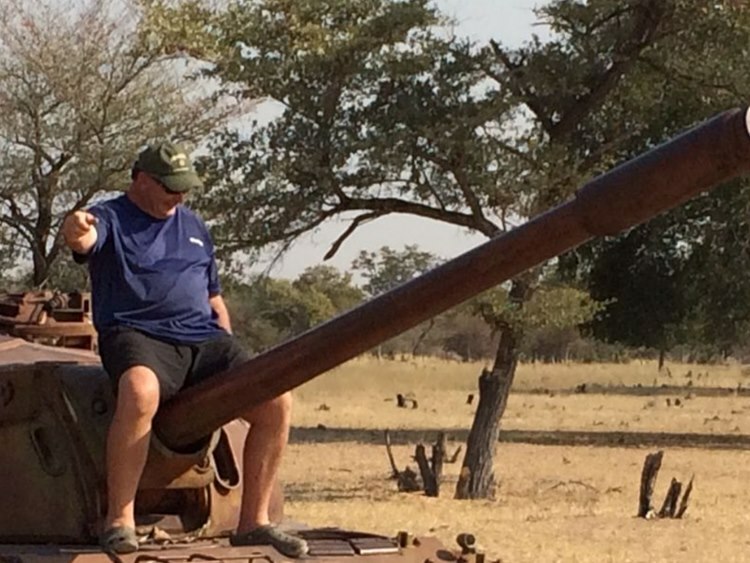 Andre maintains the cannon points straight towards home…. 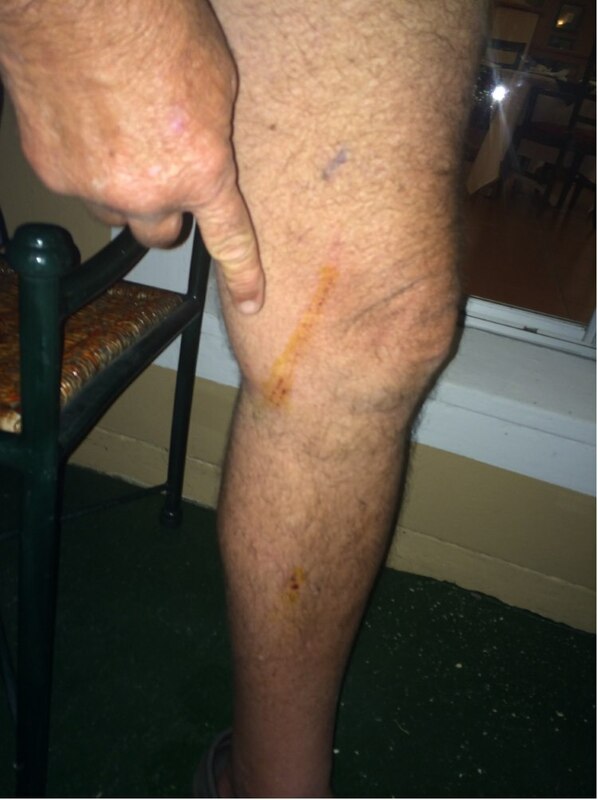 .. And nurtures his “war wounds thereafter………. 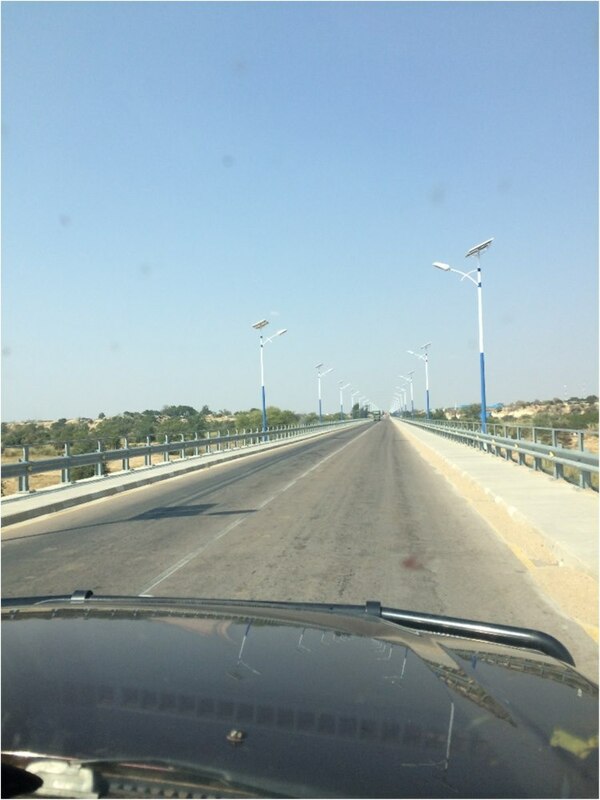 A short while later the border crossing to the Namibian town of Oshikango was reached and the formalities on the Angolan side were relatively painless with only 2 offices to be visited for the passport and Carnet de passage clearance. 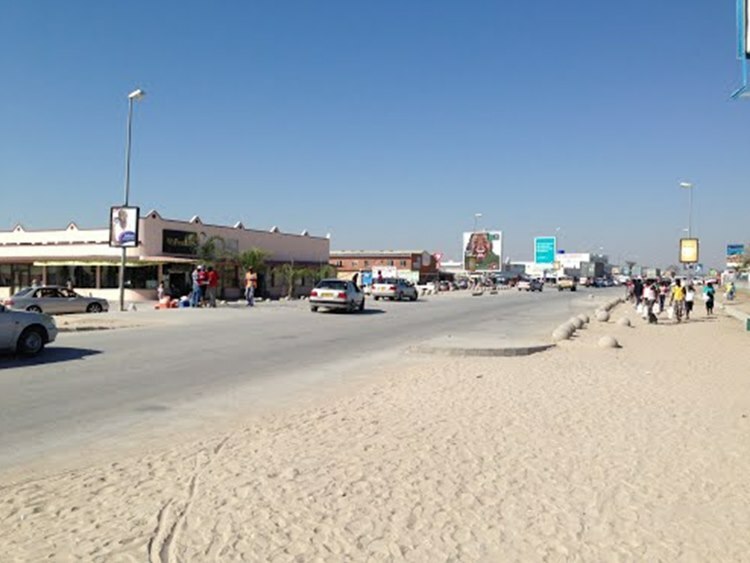 The border traffic was very busy with many Angolan cars wanting to cross into Namibia for shopping opportunities. The procedures in Namibia were also painless and for the first time the team did not require any visas as this is not a requirement for both South African and Germancitizens. The carnet however needed to be stamped and in addition the Namibian authorities charge 225 Namibian Dollars (225 SA Rand) for road usage. This gets charged for all non-Namibian registered cars at the same office which also stamps the carnet. All major South Africa shopping chains (Checkers,Shoprite, Mr Price, Pepetc.) are situated a few meters beyond the border making this a paradise for Angolans to buy goods and resell them in their smaller villages back home. 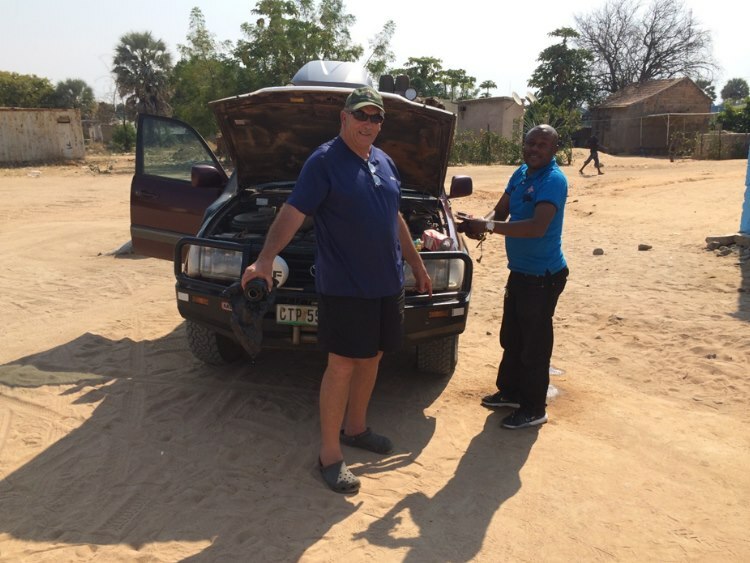 The team then made it to the close by town of Ondwangwa which is a mid-sized town again with all shopping malls originating from South Africa. 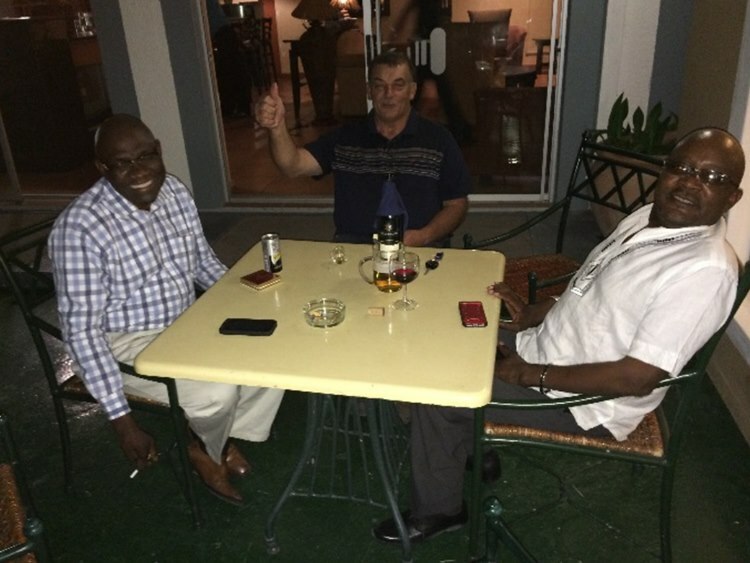 Staying over at the local Protea Hotel for the first time gave the team some feeling of getting real close to home and at the bar they made friends with the Commissioner of environmental affairs in Namibia Mr Teofilius Nghitila who even made a travel plan for the team highlighting the route they should take the next day through the Etosha national Park. Teo was also very excited about the team’s involvement in renewable energy and took a special interest in Maasa training school which operates in East London. Willy exchanged contact details with Teo who would probably visit East London soon to see the operations of Maasa and Ikhwezi Solar. 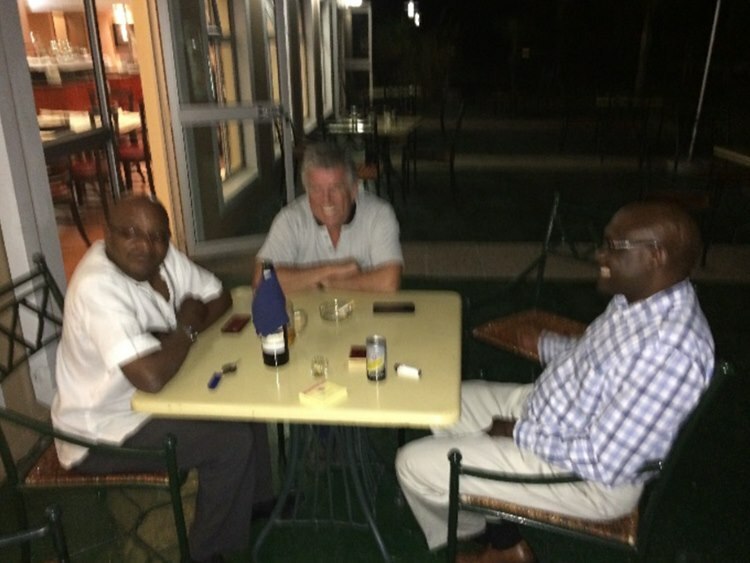 These discussions took place until shortly before midnight where after the team laid their head to rest.